In the end you need to pick a boat that is fit for the job at hand, big enough for your crew and most importantly- a boat you love. Boats require far too much in care and feeding to not have one you love. Does this narrow it down any? want some feedback on C&C 40 swing keels,and just some overall opinions on this balsa cored sailing vessel.What do you all think about em ? Most any sailboat will do. Try and keep the draft under 6 feet. Lots of Morgans out there that will do the trick. David Halladay | BoatSmith Inc.
Look at the Pearson 39. Swing keel. 4' up and 8' down. Best of both worlds. Lots of storage and quite comfy. I knew an airline pilot who once told me "If it flies, floats, or (uh, does stuff between the sheets) you should rent it. Why not lease a boat if you only want it for 6 months? These wise words from Mimsy can be applied in many discussions here. With that in mind, I can't claim "the best", but our Morgan OI 41 (barely outside your criteria) has been taking us from Florida and about the Bahamas for 25 years with comfort and with a 4'3" draft that allows us great access. Many of these are on the market in a great variety of condition within your price range. Charlie Morgan said of these, "We wanted to design a boat that would motor well for the charter trade". You would not find this to be a racing performer, but consistantly out-performing it's reputation. 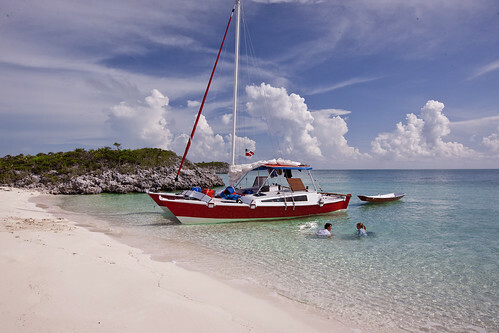 Certainly one can cruise the Bahamas in most any boat. However, I've cruised in personal and charter boats ranging from 2 feet to just over 5. Five+ is much more restrictive. Many harbours and cuts have a 3.5 MLW entrance. With a 3 foot boat you can come and go anytime you please. With 5, you are limited to high tide. Similarly, many of the bays I've anchored in are around 5 feet MLW. Shallower draft is the difference between being tucked away and being out in the slop all night. Also to consider, is what interests you. If your main interest is towns and resorts, draft is less of an issue than when exploring the uninhabited islands. I have a monohull, but if I had about 100K to spend for a Bahamas boat, I'd be looking at catamarans. 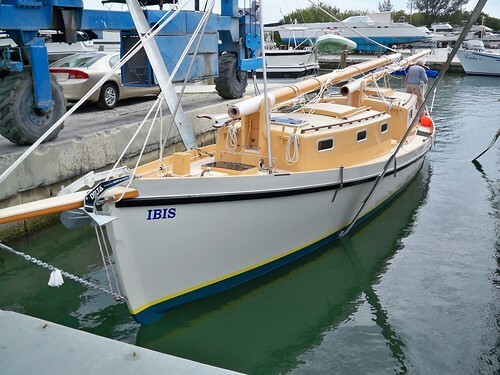 My first Bahamas boat was a bilge keel monohull and that offered a reasonably low draft for a Bahamas boat as well. In short, when it comes to attributes for a Bahamas boat, I put draft as a prime consideration.